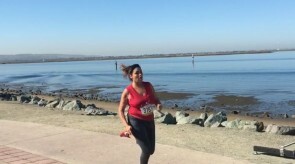 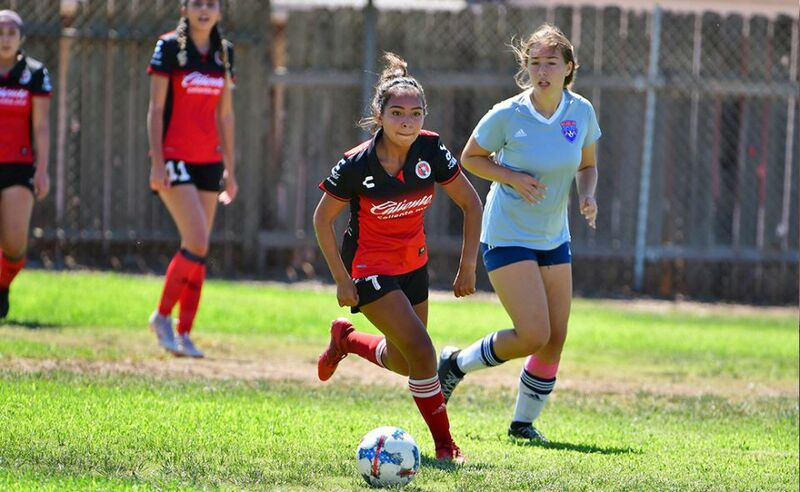 CHULA VISTA –Smiles, sweat and more smiles took over the Chula Vista J Street Marina Park this past weekend. 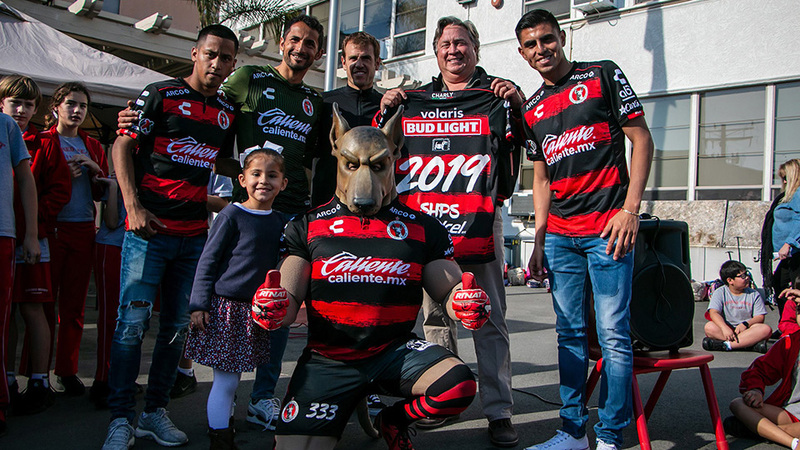 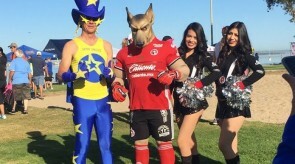 And Club Tijuana Xoloitzcuintles was there to be part of it. 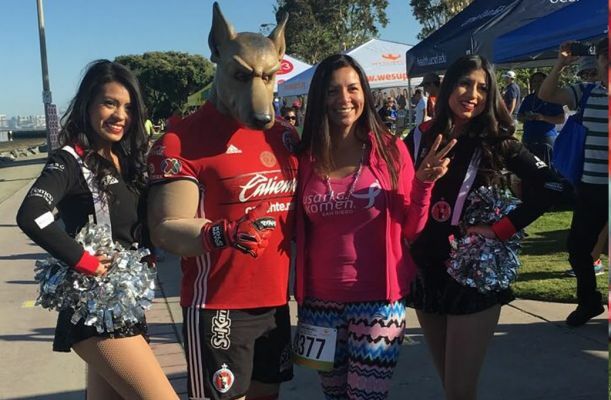 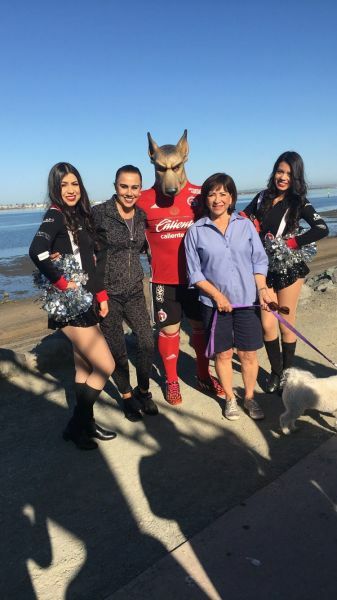 The Xoloitzcuintles made its presence felt at the annual WeSupprtU 5K Walk and Run in which participants take part in the fight against cancer. 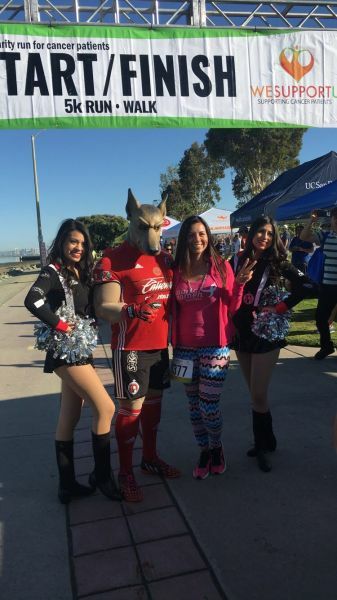 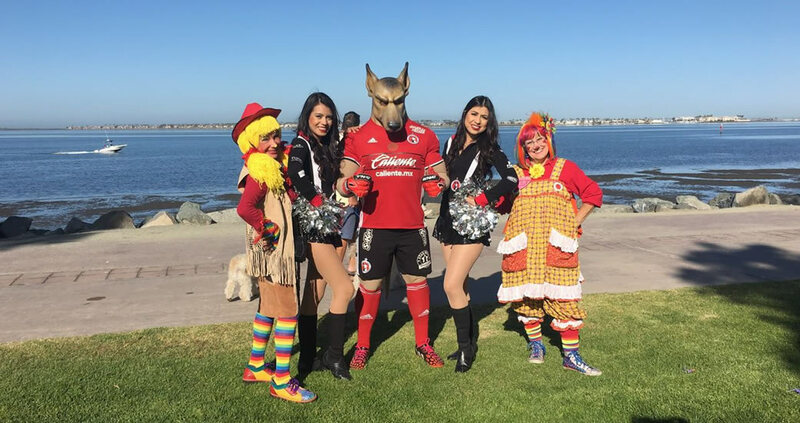 The Club Tijuana team mascot the Xolo Mayor and cheer squad the Xolo Girls were there to cheer on the participants. 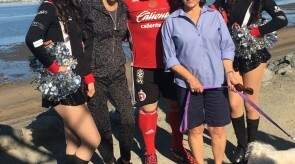 They posed for photos, shook hands and sent out hugs to those who dared. 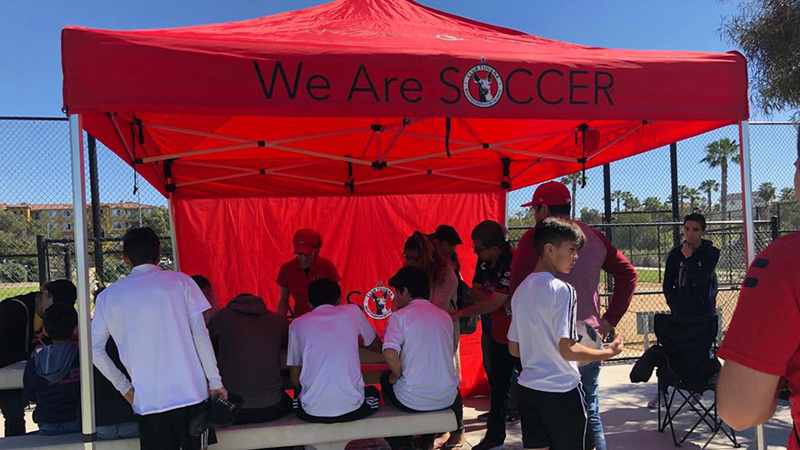 It was the second time Club Tijuana joined WeSupportU for such event. 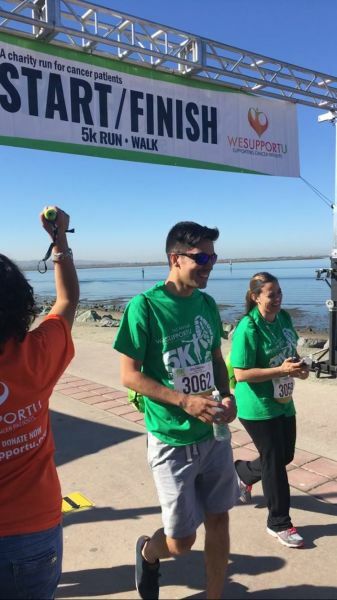 WeSupportU is a Non-profit organization serving cancer patients in Southern California. 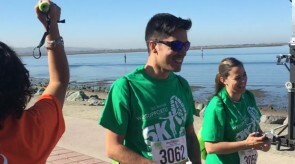 It also works to revive, renew and restore confidence, empowerment and self-esteem in those facing a cancer diagnosis. 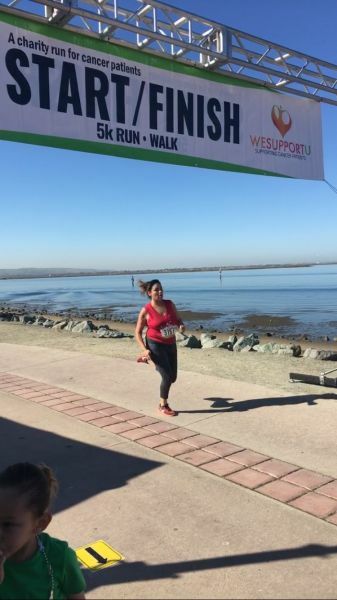 It helps promote health education, early prevention, screening and comprehensive care management for low-income families. 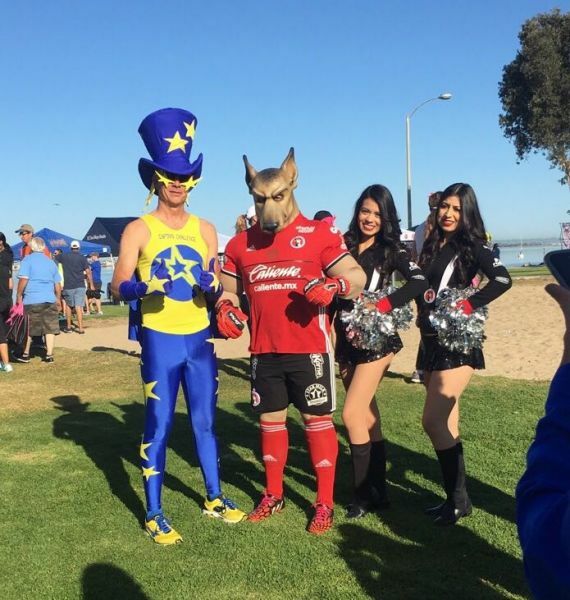 Club Tijuana is honored to help in the cause and be part of the community in these types of events on both sides of the border.